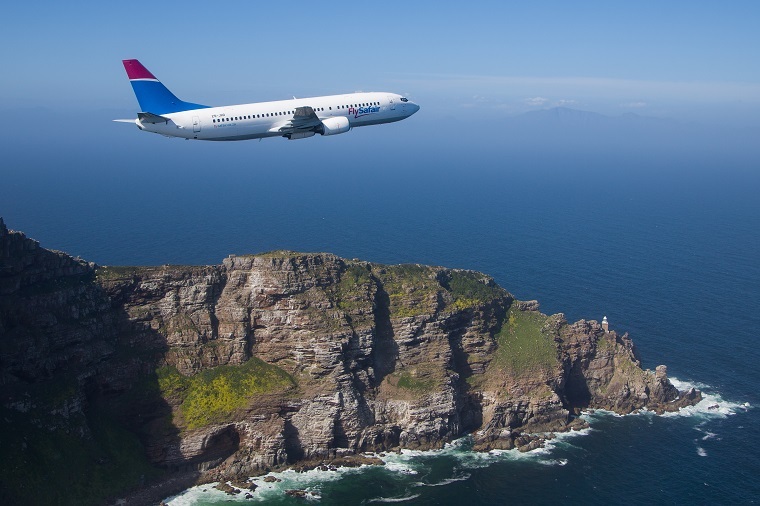 After taking off on the 16th of October for the first time, FlySafair have been steadily adding flights to their operations. 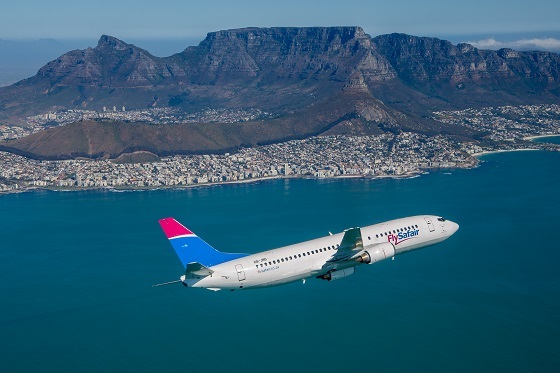 The airline started flying on the Johannesburg – Cape Town route only at first but added flights between Cape Town – Port Elizabeth two weeks later and Cape Town – George flights started on the 13th of November 2014. The airline recently announced that they will be adding more routes to their operations from the beginning of December 2014. From the 3rd of December FlySafair will start flying from Johannesburg to and from George and Port Elizabeth. 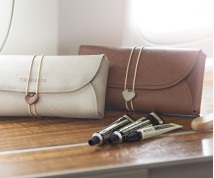 The airline has released opening special airfares starting at R499* for a one way flight on both of these new routes. FlySafair is not the only low cost carrier operating on these routes. The airline is currently competing with Mango on their JNB-CPT and CPT-PLZ routes and they will be competing with them on their JNB-PLZ and JNB-GRJ routes as soon as they start up. With Kulula they are competing on the JNB-CPT route at present and they will compete with the airline on the JNB-GRJ route when they start up. There has been a lot of people asking the airline for flights from Durban to and from Cape Town and Johannesburg recently on social media and other platforms. We will have to wait and see what FlySafair will do next. Low Cost Carrier FlyAfrica have expanded their operations in Southern Africa by adding routes to Zambia and Namibia. 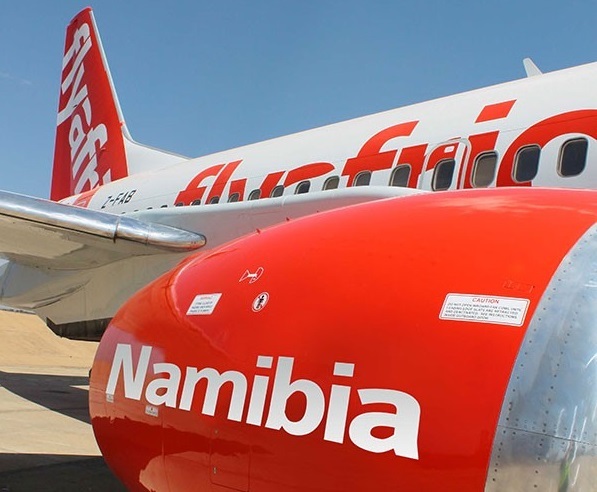 The airline will start flying to Windhoek from Johannesburg and Cape Town and to Lusaka, Zambia from Johannesburg in the beginning of 2015 under their Namibia FlySafair subsidiary. Flights between Windhoek and Johannesburg will start on the 2nd of February 2015 with airfares starting at R799* for a one way flight. Flights between Cape Town and Windhoek will take off on the 9th of March 2014 with airfares starting at R699* for a one way flight. The last new route form Namibia FlyAfrica which is between Cape Town and Windhoek will take off on the 16th of March 2014 with airfares starting at R899* for a one way flight (*excluding taxes, subject to change). Zimbabwe FlyAfrica, which is another subsidiary of FlyAfrica, have also announced that they will be adding regional flights between Johannesburg and Bulawayo and Zimbabwean domestic flights between Victoria Falls and Harare. Joburg to Bulawayo flights will take off on the 2nd of March 2014 while flights between Vic Falls and Harare will start on the 1st of December 2014. The airline will be flying to and from 7 destinations in 4 different countries when they launch the final one of these new routes in March 2015. FlyAfrica is the only low cost carrier operating on their current routes between Johannesburg, Victoria Falls and Harare. They will also be the only low cost carrier operating on their new planned routes when they start up. The current CEO of Mango Airlines, Nico Bezuidenhout has been named as the acting CEO of SAA. Mr Bezuidenhout will be taking over from Monwabisi Kalawe who was suspended by Dudu Myeni, the Chairwoman of SAA. Ms Myeni has previously tried to investigate Mr Kalawe for wrongdoing and mismanagement. Ms Myeni is accusing Mr Kalawe of negotiating buying a stake in the insolvent Senegal Airlines without the permission of the board. She also asked the auditor general to investigate the claim that SAA were charging customers for a bag-wrapping service which they never received. There were also issues with SAA’s fuel procurement and Mr Kalawe’s reported refusal to sign a performance agreement. Meanwhile the airline is working on its 9th turnaround plan in 13 years after Public Enterprise Minister Lynne Brown personally oversaw the resignation of six non-executive directors from SAA’s board. The airline has brought in turnaround specialists John Tambi and Anthony Dixon to try and turn the airline around. There has been talk of selling a stake in SAA to the private sector to raise funds to keep the airline afloat, a plan which Minister Brown is all for. The airline has failed to submit its financial report on time for the third year in a row because of financial and operational mismanagement. The airline is in financial troubles once again only a year after being given R5bn by the government through state guaranteed loans. With infighting going on in the boardroom it is impossible for the airline to be steered into the right direction. Let’s hope the fires in the boardroom will be put out soon. 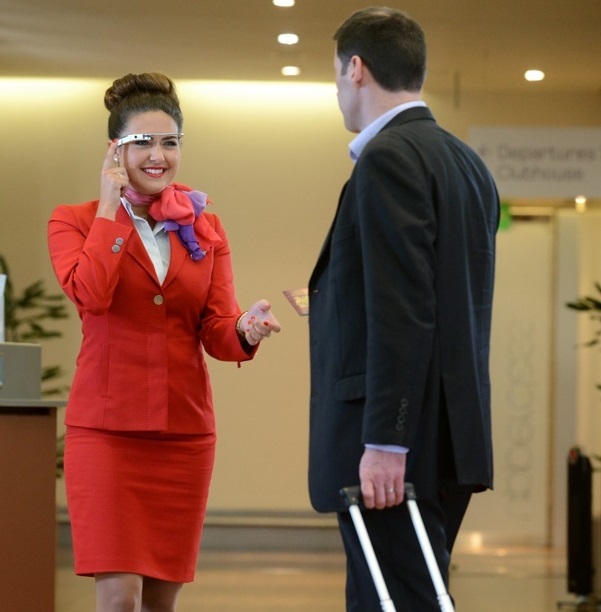 Virgin Atlantic is the first airline to use Google Glass headsets to scan customer’s passports to check them in. Boarding passes are then printed by mobile mini-printers. 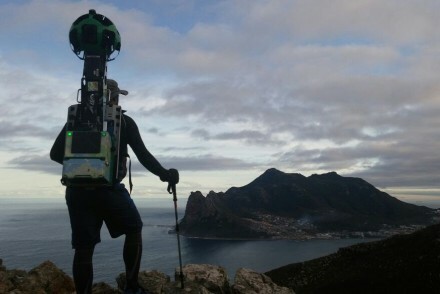 Check-in times could be drastically cut by using hi-tech technology like Google Glass headsets and tablets to scan flyers’ passports. Virgin Atlantic has only tested the new technology on first class passengers but they will be rolling it out to business and economy class soon. The airline hopes to enhance customer experience, which in recent years has given air-travel numbers a huge bump. Passengers are spoiled for choice when it comes to picking an airline, with so many operating to anywhere an everywhere in the world. Airlines need to stand out from the pack and provide clients with something unique if they want to survive. Virgin Atlantic, it seems is leading the way. Low cost Carrier (LCC) Skywise, is planning to launch domestic flights in the beginning of 2015 under new ownership. Pak Africa Aviation (PAK Aviation) has bought the Air Service Licence (ASL) of Skywise, who had its licence reinstated earlier in the year. Skywise lost its licence after the airline failed to launch commercial flights inside the timeframe that was given to them by the Department of Transport. The licence was reinstated after Skywise succeeded in obtaining a court order which called for the licence to be reinstated, which it subsequently was. Pak Aviation, who is in the process of purchasing 1time Holdings, said that 1time will be the JSE listed company under which Skywise would operate. The LCC will operate under the name of Skywise and not 1time despite 1time being the listed company. Skywise will reportedly begin operating domestic flights in the beginning of 2015 with one Boeing B737-300 and two Airbus A320s. The airline has not announced which domestic routes they are planning to fly on but they have stated that they are also looking at starting regional operations at the end of 2015. Regional flights will only begin after domestic flights kick off for Skywise in the beginning of the year as planned. The airline will reportedly be a true low-cost carrier like FlySafair where you have to pay for all the extras but they have not hinted at what the airfares are that we should be expecting.